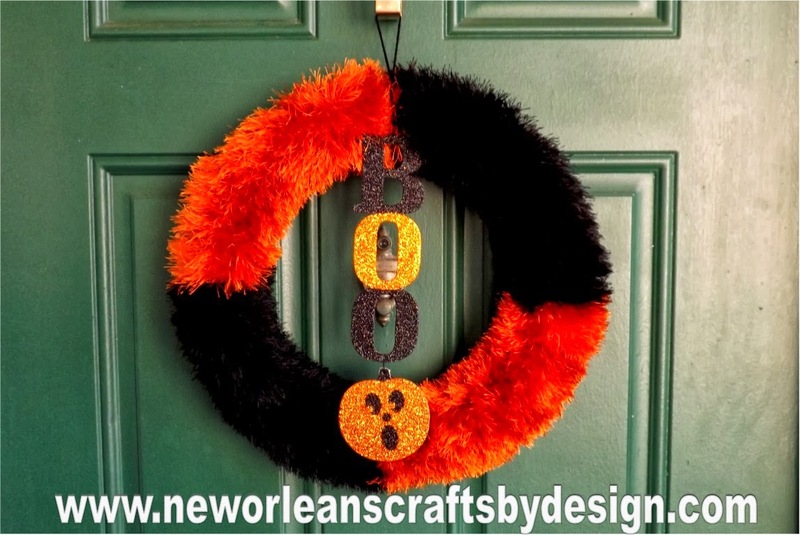 Decorate your home for Halloween with this gorgeous Fun Fur Yarn Wreath. 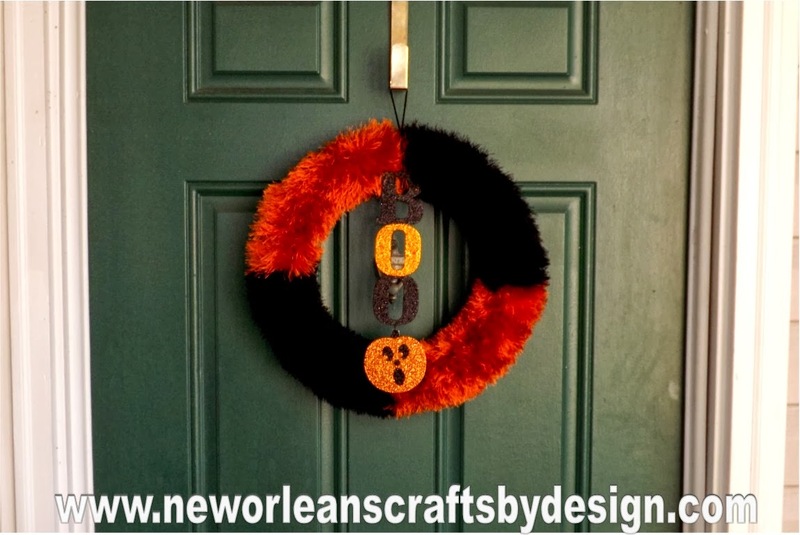 I wrapped a 14" styrofoam wreath form with black and orange fun fur. 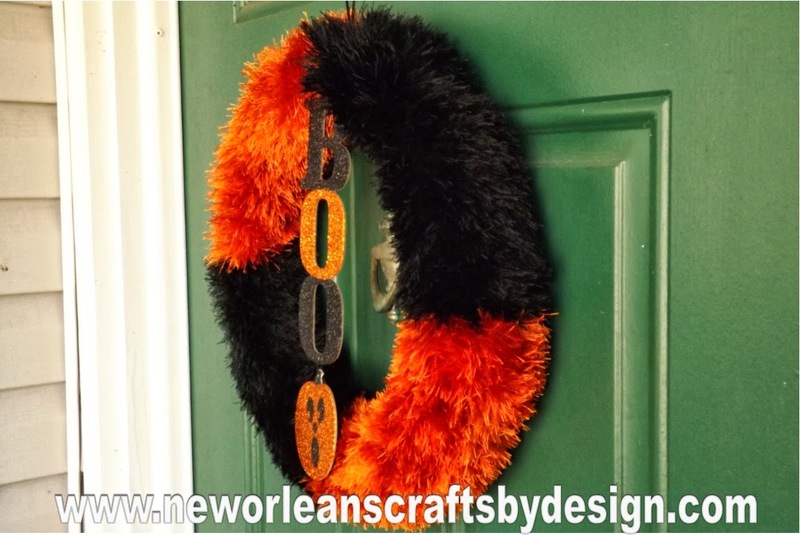 I absolutely love the look of the fun fur wreaths. 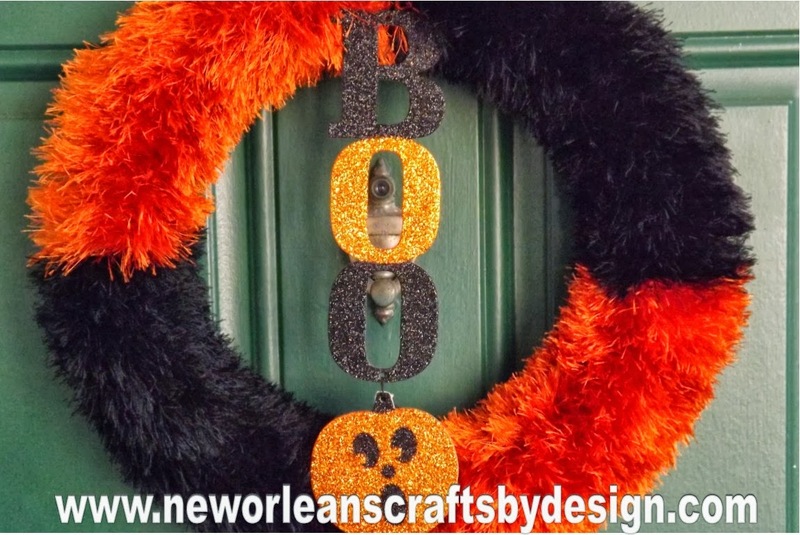 The BOO glitter sign was purchased locally and was my inspiration for this wreath. Overall, I love the look of this wreath.